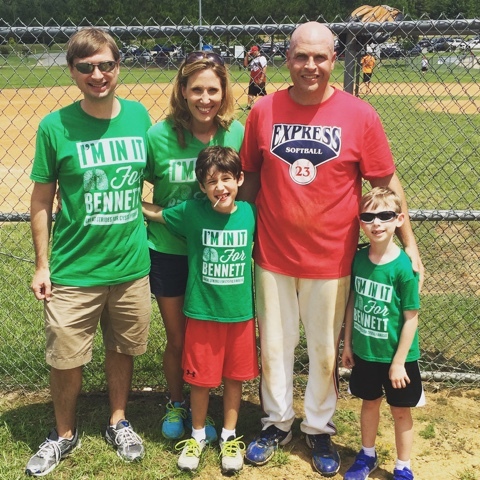 For the past 3 years, Bennett has been named the honoree of the Annual Sonny Rose Memorial Softball Tournament in my hometown of Minden, Louisiana. This year was a special year because it was the first time where our family could attend the tournament in person, which we were thrilled to be able to do! 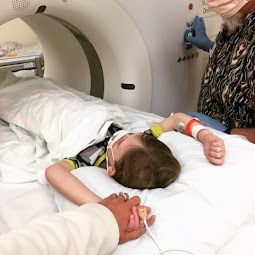 My friend Casey, in red, who I have been friends with since high school, reached out to me several years ago when he learned that our son had cystic fibrosis. 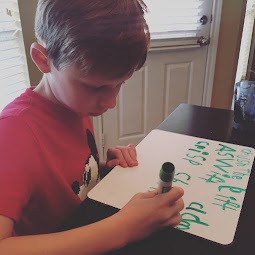 Having tragically lost his own brother, Casey explained he wanted to help us find a cure for Bennett so Oliver would never have to experience that kind of pain. Casey has worked tirelessly since then to help us raise money for the CF Foundation in honor of Bennett ever since. This year's tournament was it's 16th year and biggest ever with 33 softball teams and 8 wiffleball teams. 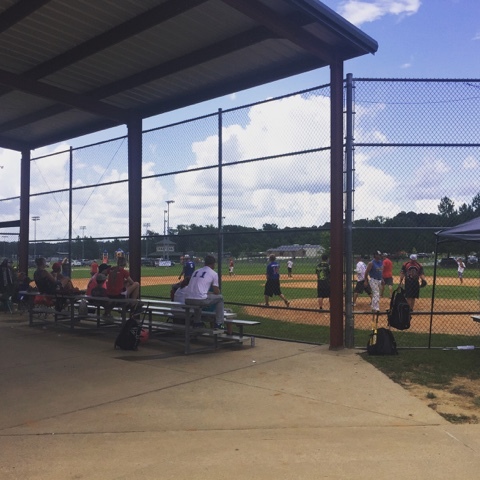 I understood it was a softball tournament but what I didn't realize, until I arrived in person, was just how involved it was to put on nor did I know how passionate the people were who played in it!! There were 18 coed teams, 15 men's and 8 wiffleball teams. Although there were a lot of local players, some teams had come all the way from Texas and Mississippi! The tournament began at 8AM and lasted until 3AM. YES! Three o'clock in the morning!! 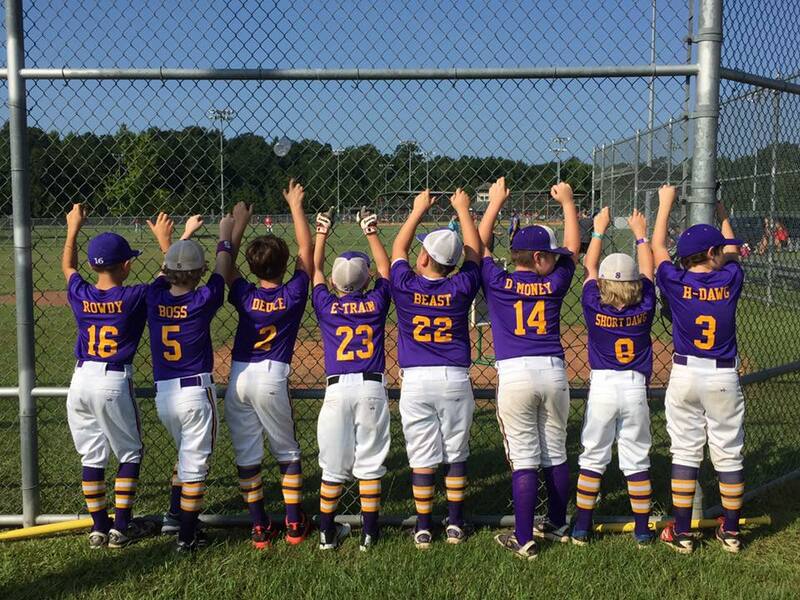 This is a picture of Casey's team, which was affectionately named, "In it for Bennett." This crew won 2nd place in the Coed Division. 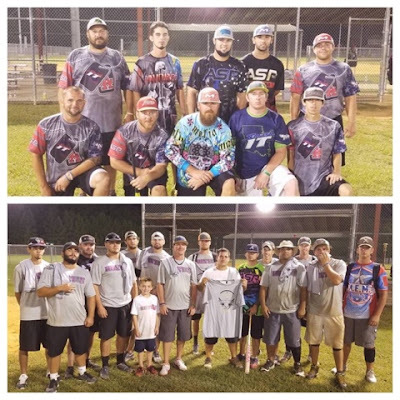 First place of the Mens Division went to team "Smash It" (top). Second place went to "LA Hustle" (bottom). See the boy in this picture? That's Bennett. Ok, look beyond him. See the guy in the blue shirt? That man spent all day outside in the direct sunlight and 100 degree heat as a referee for the softball tournament. At the end of the day, when Casey and his mother tried to pay the man for his work, the man and his wife refused to take the money. Instead, they said: "donate it to Bennett." I came upon those words in the conversation between the man's wife and Casey's mom when I re-entered the concession stand where I had been working and where they were speaking. I was grateful I overheard their conversation because I was given the opportunity to say thank you to this woman in person. It was meaningful to be able to do so since I had already recognized that so many people I didn't know had graciously given and were currently giving of their time, money and energy to make this weekend successful for the benefit of my son - people I didn't know, would likely never meet and never be able to adequately thank. One such crew I never fully had a chance to thank were these little guys and their mothers who were sitting behind the batters box while our family (and a few sweet area volunteers) played a round of wiffleball in the Wiffleball Tournament. I didn't have anyone to watch Avonlea while were were infield so I brought her some toys, put her on the bench in the dugout and told her to "stay put." That worked for all of 10 seconds since she's 3 years old, so I was much relieved when I heard a sweet motherly voice from behind me ask, "can I go get your daughter and have her come sit underneath the shaded tent with us?" I was so appreciative of the kindness of a stranger, one whom I inherently trusted (and later learned I actually knew). I hated having to leave Avonlea in the dugout but I didn't know what else to do for her while we played. In this mother's arms, Avonlea was able to sit behind homeplate and the chain-linked fence to watch our game while she, too, was being watched. The game lasted only 20 minutes. But I was proud of Bennett and Oliver for trying to play wiffleball, especially considering the 100 degree heat was intense. At one point, I yelled out to Bennett in the out field as encouragement. One of the mothers from the tent of boys behind the batting cage (where I was playing the role of catcher) piped up and asked, "is that Bennett, the one who this event is raising money for?" I smiled and explained that it was. Several of the mothers let out a sweet sigh. Bennett came up to bat a few minutes later and I began noticing cheers coming from this group of mothers and their little boys, all who were dressed adorably in matching purple and white baseball uniforms with their respective nicknames hot-pressured in gold to the back of their shirts. The cheers made Bennett feel like a million bucks. 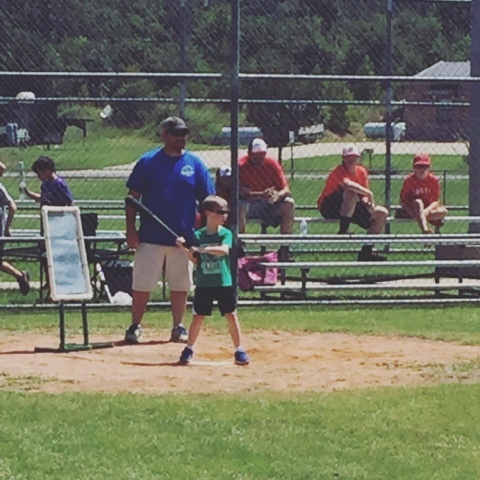 He swung at the ball and ran towards through the bases as fast as his legs would take him. 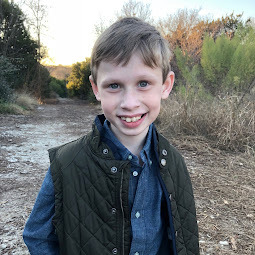 It was a memorable moment for me, a microcosm of the entire day: to watch Bennett joyfully experience life using his precious lungs, at a fundraiser hoping to get him a cure, with a group of strangers cheering him on. 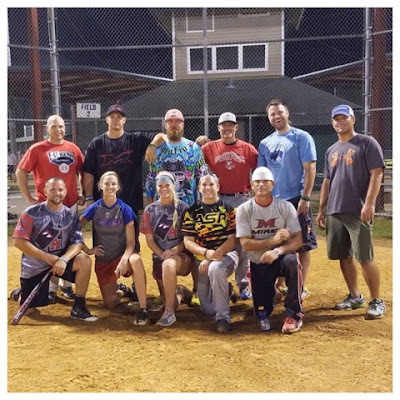 The top picture is of the 1st place Coed team called, "Highly Favored." 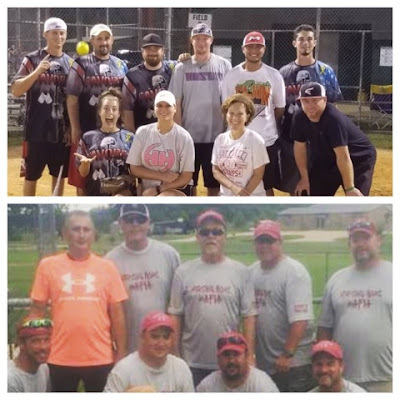 The bottom picture is the winner of the wiffleball tournament, team "Nursing Home Mafia." These sweet men, known as the Nursing Home Mafia, played against our family in the Wiffleball Tournament. After they smoked us, everyone lined up to give high fives. When we were done, Bennett walked up to me with a new one dollar bill. I don't know who it was but somebody high-fived him a dollar as a sign of love. He was delighted as the surprise he received. One of Bennett's favorite part of the tournament was most definitely being a concession stand worker. 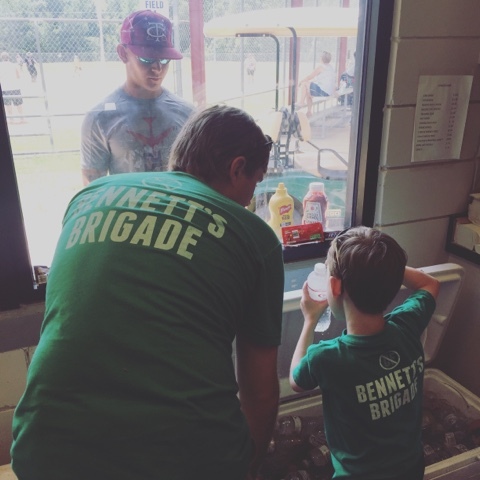 Not only did he appreciate the reprieve of being inside the cool concession stand and eating candy when concessions were slow, Bennett loved helping people at the window. 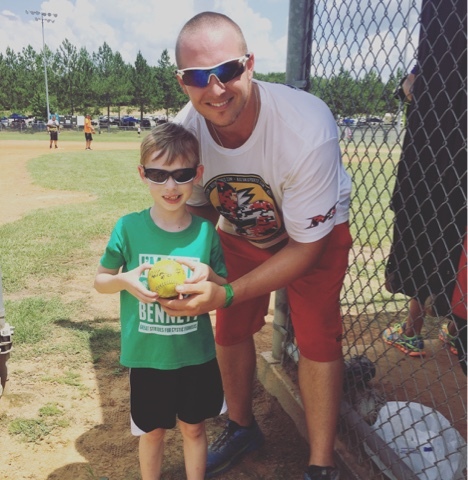 Another special moment for Bennett was when Kyle Pearson, who plays on Team USA for ASA softball, autographed him a softball to keep. This is Laci, Sonny's and Casey's little sister who organized and coordinated much of the tournament this year, despite that she's 9 months pregnant with a baby girl. I wish I also had a picture of Casey, Laci and Sonny's parents Charlie and Susan Rose who worked diligently to make sure things went right. 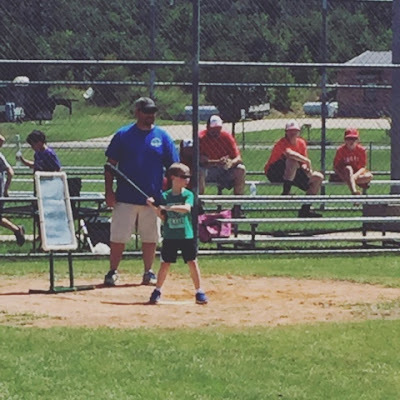 Charlie played on our wiffleball team at one point but spend much of his time fetching ice. And Susan ran here, there and everywhere trying to track down more quarters and Gatorade for the concession stand. I also missed a picture of Geoffrey Orr, who also worked incredibly hard to make sure the softball fields were in ready-for-play condition (did you know they actually burn the fields to get them ready??) 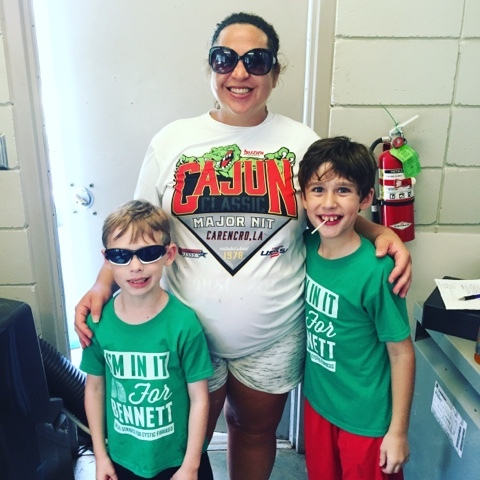 There are others that I don't have a picture of that are worth mentioning, such a the sweet ladies and two youngsters who worked with us in the concession stand and who volunteered their Saturday to help us raise money for Bennett. I have no doubt there are others I did not and will never know who helped and for whom I am thankful. 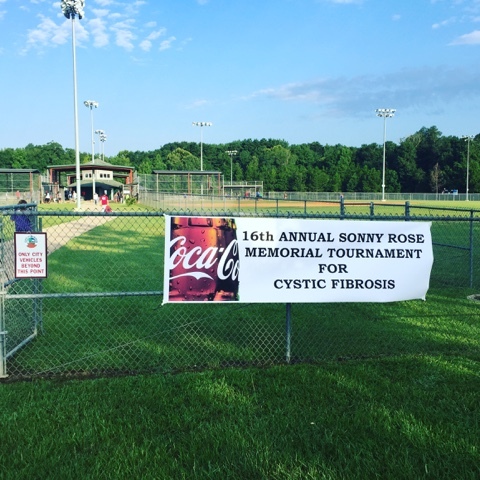 When it was all said in this year's 16th Annual Sonny Rose Memorial Softball Tournament raised total of $6,800 for the Cystic Fibrosis Foundation in honor of Bennett! 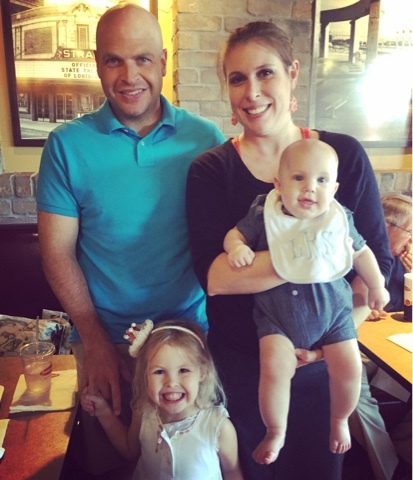 The next day, before Brian, the kids and I left Louisiana to head back to Texas, our family had a chance to have lunch with Casey, his sweet wife, Sarah, and their two children. It was such a treat to get to meet Casey's kids, whom I had only seen in pictures and to get to see Sarah, who had been watching the children all day the day before while Casey was busy with the softball tournament. They are such a sweet family. Casey has his own children to care for. 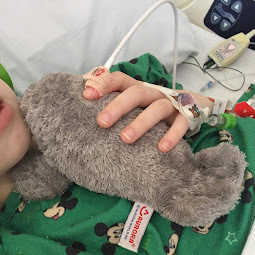 His sister and his parents know many other people who they could fundraise for in memory of Sonny. So, the fact that this family chose our family and our Bennett to support again this year is even more meaningful. I couldn't help but think of Sonny this weekend. His presence was noticable - how dearly he is missed and loved. I grateful that Sonny's family chooses to turn their loss into life...their grief into giving...and their love of their own into a love for my own.